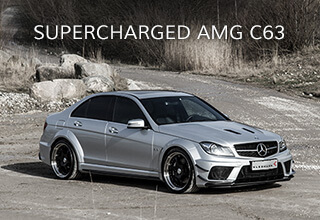 The C63’s performance is already stunning, making it even better is no easy task. 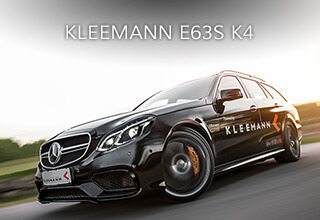 Kleemann’s engineers set out on a special project for a discerning C63 owner who wanted brutal performance, rakish styling and daily drivability. Concentration was first given to the engine. The Kleemann Kompressor System was an obvious choice, but more was needed to satisfy the owners special demands. Forced induction creates power, how much is a matter of science. Air density, parasitic drive requirements, charge air cooling and pumping losses all play major roles in determining the power output of any engine. Kleemann’s engineers quickly determined that the cylinder heads were a bottle neck for airflow under boost. Using time honored techniques from decades of race engine preparation, the inlet and exhaust ports were reworked to improve air flow. The ports were smoothed, straightened and polished. Power output was raised by 8% over a motor without head work.The Kleemann Kompressor System, along with the ported heads and complete exhaust system with long tube headers produced 750 hp and 960 Nm (705 lbs-ft). With the engine dialed in, focus was then given to the chassis. Putting all that power to the ground, in a controlled manner, was a paramount task. The rear axle was fitted with a Kleemann LSD, which can handle over 1,000 hp while smoothly distributing power to both wheels. 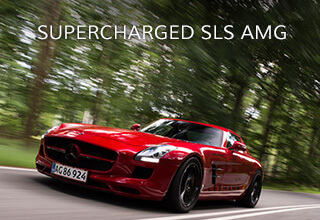 A coil-over suspension was specified with spring rates and damper characteristics suitable for both road and track. A factory AMG wide body kit was utilized to allow Piano Black TS-6 wheels to be fitted (10” x 20” F, 11” x 20” R), and to improve aerodynamics. The speedometer was changed in favor of a 400 km/h (250 mph) unit. 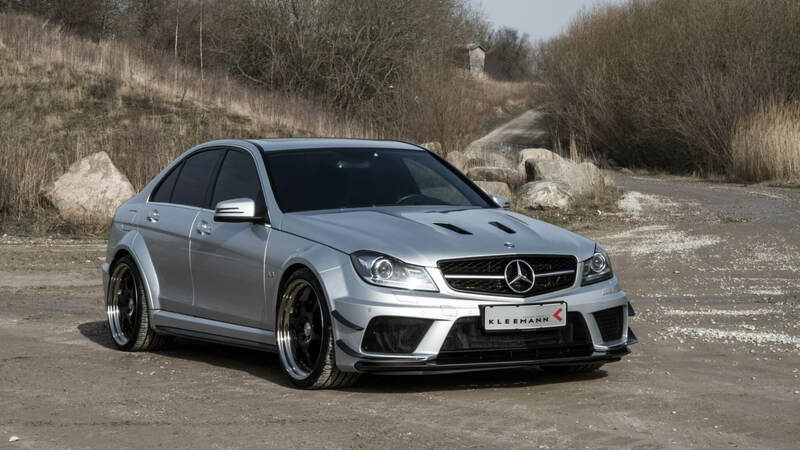 Low, wide, blindingly fast, symphonically superb, visually stunning and razor sharp handling deliver the driving experience of a lifetime in this C63.